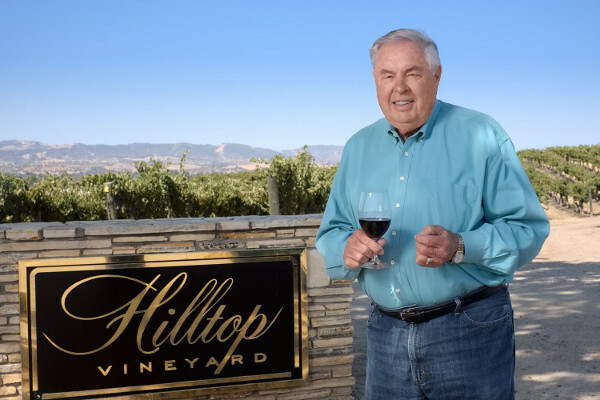 Great photo here of Jerry Lohr, founder of J. Lohr, at his Hilltop Vineyard. Beginning In the late 1960s, Jerry Lohr began searching for a great location plant his first vineyard. Originally raised on a South Dakota farm, Jerry had a background in agriculture and chose the Central Coast, which was an experimental region at the time. Jerry has created an amazing success story with his winery, J. Lohr. While J. Lohr has gained a nationwide reputation for rich red wines, their white wine portfolio is not to be overlooked. A few months back I had the chance to sit down with their white wine winemaker, Kristen Barnheisel, and chat about their white wine releases. She talked about how cool nights even in the summer affect the acidity in her wines. J. Lohr has a range of wines, from limited production wines to 8,000 case production wines. Her vast knowledge of wines was evident as she has had previous stints at Columbia Crest as well as Jordan before coming to J. Lohr. Look to her 2015 J.Lohr ‘October Night’ Chardonnay (WWB, 90) which is a rich and layered effort. The red wines by J. Lohr were also excellent and displayed wonderful depth and concentration. An outstanding Petite Sirah release is their 2014 J. Lohr ‘Tower Road’ Petite Sirah (WWB, 90) which is a dense and burly effort that is nearly impossible to resist right now. Even better was the 2013 J. Lohr ‘Cuvee Pau’ Red Wine (WWB, 92) which is a beautifully structured and rich effort that will cellar well into the next decade. Learn more about this outstanding lineup at https://www.jlohr.com Here are the outstanding new wines by J. Lohr.